The conference program for the 18th Samba eXPerience is online! 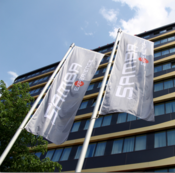 The sambaXP – the international user and developer conference around Samba – takes place from June 4th to 6th at the Hotel Freizeit In (Dransfelder Straße 3, 37079 Göttingen). Organizer of sambaXP 2019 is again SerNet, sponsors are Google, Microsoft and Red Hat. Conference tickets are also available at https://sambaxp.org for 499 Euros. Stefan Kania will hold his traditional tutorial on Tuesday, June 4th. This year's topic is "Creating and managing Trusts with Samba 4.9". The participation fee is 450 Euro. Please note: Stefan Kania's tutorials are very popular and places are usually quickly sold out. Since 1 January 2019, SerNet GmbH has a new managing director: Reinhild Jung is now managing the company on an equal level with founder Dr. Johannes Loxen. The Göttingen-based provider of IT security and IT infrastructure solutions is thus implementing a step that has been planned and prepared for some time. Loxen: "SerNet thinks in decades and we are now launching into the next ten years". Reinhild Jung joined SerNet in 2002. She has been an authorised signatory and CFO since 2009. Accordingly, she has not only accompanied the company and its customers for many years, but has also continued to grow into the IT industry and the specific SerNet topics such as IT security and data protection. Her many years of loyalty to SerNet are reflected in the special corporate culture. Above all, she appreciates the open interaction among her colleagues, the flat hierarchies and the opportunities for further training in all directions: "If you are committed personally, SerNet offers many opportunities to find the right thing for you. Further development and constant change make consistency and reliability possible at SerNet - they are all supporting pillars of the company and also play an important role for the future. "This is now demonstrated by the new management structure," says Jung. Dr. Johannes Loxen sees his task as enabling a smooth transition to new structures over the next 10 years. Jung mentions "healthy growth and the further expansion of international business with a good regional positioning" as further future goals of SerNet. The concerns of colleagues play an important role here due to demographic change: family-friendly regulations, promotion of women, especially in technical professions, openness to the world, tolerance and inclusion strengthen the workforce and make good services possible in the first place. As a woman in management and a mother of three, Reinhild Jung would also like to see more regional networking among women in management positions. She sees mutual strengthening and support as an important topic for the future. On March 1st the "normal" sales phase will begin, ticket prices will bei at 499 Euros. The conference fee includes participation on both conference days (Wednesday, June 5th and Thursday, June 6th) including catering and a social event on Wednesday evening. In addition, a tutorial can be booked on Tuesday, June 4th: Long-time sambaXP speaker and Samba trainer Stefan Kania will focus on "Creating and managing Trusts with Samba 4.9". The costs for this are 450 Euro. Accordingly equipped and prepared computers for the tutorial are available. The sambaXP 2019 is sponsored by Google, Microsoft and Red Hat. This year's organizer is again SerNet GmbH, which wants to promote the exchange among Samba developers and users from all over the world with the conference. SerNet has released version 1.17 of the open source ISMS tool verinice. The verinice.TEAM presents an extensive update, which is especially relevant for working with the Modernized IT Baseline Protection of the German BSI: An optimized modeling as well as the possibility for preliminary hybrid modeling are decisive innovations. All details with extensive screenshots can be found in the Release Notes. The new version is available in the verinice.SHOP (for standalone users) or in the verinice.PRO repository. Automatic client updates are not possible for verinice 1.17! We have compiled all necessary information about manual updates in a HowTo. To update the verinice.PRO server to version 1.17, please use the package manager "yum" as usual (see details on the verinice.PRO update). When verinice 1.17 is started for the first time, all previous modeling in the Modernized IT Baseline Protection will be migrated to the new modeling. 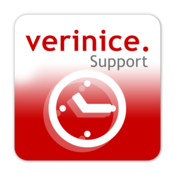 Therefore, please create a backup of all your information networks before each new installation or the first start of verinice 1.17.
verinice support budgets are now available in the verinice.SHOP. They provide quick and easy access to supporting services for the OPen Source ISMS tool verinice. In addition to individual contracts, SerNet is thus making flat-rate budgets available to customers all over the world. With this step SerNet wants to make it easier for verinice users to have direct access to the expertise of the verinice.TEAM. Two advantages in particular are key: The contract is concluded immediately instead of having to be individually negotiated. In addition, all hourly rates are the same, regardless of whether technical support in the narrower sense or, for example, consulting is used to implement a standard. Within one hour after purchase, the project number is available, with which support requests can be made at any time by e-mail or, in urgent cases, by telephone. A support budget purchased in the shop contains 10 hours of service at a price of 1200 Euro (net). Up to 4 of these budgets can be purchased at once and bundled for a 40-hour project (one working week). The support budgets include product support for verinice and verinice.PRO as well as all related queries for databases (PostgreSQL, Oracle), identity management (Active Directory, LDAP, etc.) and virtualization (VMWare) on Windows, Linux and macOS platforms. Support budgets have a duration of 24 months. The monthly account statements as well as a final statement provide detailed information about all inquiries and used units. The smallest time unit for a support request is a quarter of an hour. All work is carried out by SerNet remotely by e-mail or telephone during the active support hours (Mon-Fri 8 - 18 CET).